Do you have passionate and talent with incredibly high level creativity and strong aesthetic sense. Strong visual and communication design skills. Knowledge in template look and feel, design, proficiency with producing storyboards, wire frames and static HTMLs. Translate Wireframe and style guide into a HTML based responsive pages. Work closely with back-end developers to find ways to push the limits of existing web technology in service of creating the best possible user experience. Responsible to implement quality UI practices at all stages of the application development life cycle and implement site development plan / standards. Resolve bugs and cross browser / device compatibility issues. Not uncomfortable working in the context of a complex Java web application. Engineering Degree in Computer Science or equivalent professional experience from an institution of high repute in India or abroad. 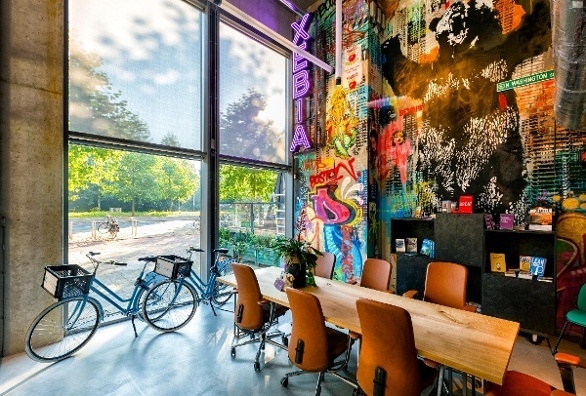 Xebia is a Dutch headquartered IT company which specializes in Continuous Delivery & DevOps, Full Stack Agile Development, Agile Consulting & Transformation, Big Data/Data Science, Mobile, Cloudification and Data Centre Automation. With core software development offices in Netherlands(Amsterdam, Hilversum), India (Delhi NCR, Bangalore), France (Paris) and U.S.(Boston) we employ over 1100 people worldwide!